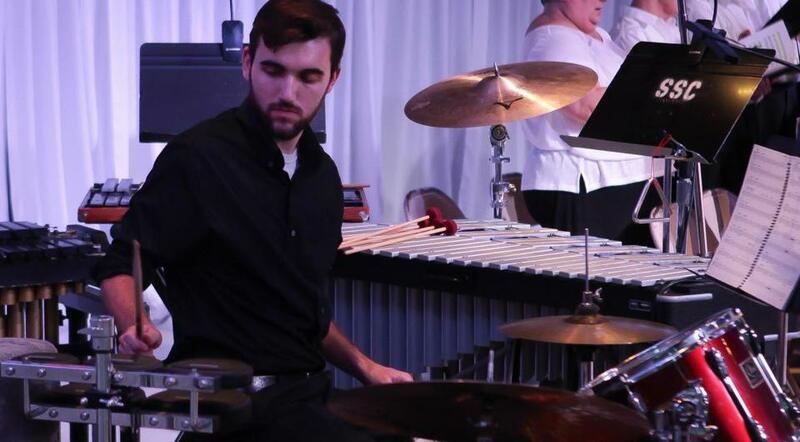 Jesse Stiglich will play at the South Shore Conservatory’s Spotlight on Percussion concert on March 26. The Bridgewater Public Library is hosting a talk by Jana Milbocker, author of “The Garden Tourist, 120 Destination Gardens and Nurseries in the Northeast.” The free event will guide attendees through finding the most beautiful gardens in the area and will take place on Tuesday, March 26, at 6:30 p.m. The lecture will be followed by a book signing. The address is 15 South St., Bridgewater. Visit www.bridgewaterpubliclibrary.org. Attend Timberdoodles and Tapas at Marshfield’s North River Wildlife Sanctuary on Friday, March 29, from 6:30 to 9 p.m. The night will begin with shared appetizers, followed by an outdoor birding adventure led by Doug Lowry to witness the courtship display of the male American Woodcock. Tickets are $20 for members and $25 otherwise. The address is 2000 Main St., Marshfield. An additional session is offered on April 6. Preregistration is required and can be completed at massaudubon.org/northriverprograms or by calling 781-837-9400. The South Shore Conservatory in Duxbury is holding a Spotlight on Percussion faculty performance on Tuesday, March 26, at 11 a.m. The concert features Marimba solos, ensemble pieces, and more. Performers include the conservatory’s Victoria Chang, Will Edmundson, Ed Sorrentino, and department chair Jesse Stiglich. Admission is free, and the venue is at 64 Saint George St., Duxbury. This concert is an installment in the conservatory’s Coffee Break Concert Series. Visit sscmusic.org. The weekend is the perfect time to be monkeying around. Join Temple Beth David of the South Shore in Canton for a viewing of “Monkey Business” on Saturday, March 30, at 7 p.m. The documentary follows Margaret and A.H. Rey, the creators of “Curious George.” Attendees can pay $5 for a dinner of pizza, salad, and dessert, and an extra $5 for movie refreshments. Register by March 28. The temple is located at 1060 Randolph St. Contact office@templebethdavid.com or 781- 828-2275. Ready, set, prevent! The Massachusetts Breast Cancer Coalition encourages people to participate in the first-ever Run for Prevention at Bare Cove Park on Fort Hill Street in Hingham on Saturday, March 30. There will be a 5-mile run for $35, a 10-mile run for $40, a 2-mile fitness walk for $25, and a 1-mile kids fun run for $10. All proceeds go toward the coalition’s efforts to prevent cancer. The day includes free refreshments, a free yoga class, and music by MAGIC 106.7 FM. Visit mbcc.org/runforprevention for more information about the schedule. Ysabelle Kempe can be reached at ysabelle.kempe@globe.com. Annika Hom can be reached at annika.hom@globe.com. Follow her on Twitter at @AnnikaHom.